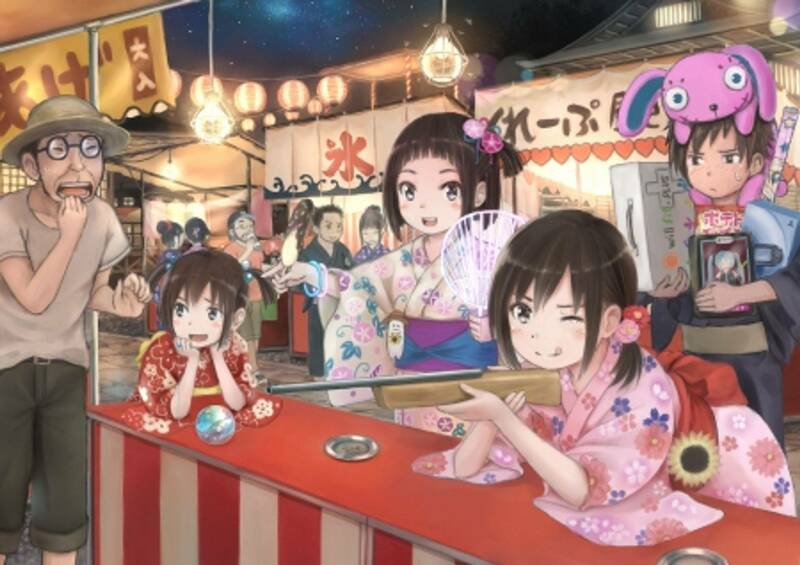 Like many countries, Japan has its own festivals and holidays (matsuri)throughout the year. These festivals are often based around one event, with food stalls, entertainment, and carnival games to keep people entertained. 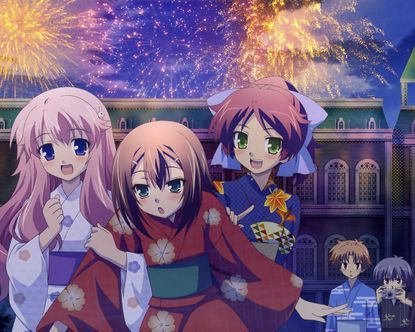 While some festivals are based around temples or shrines, and hanabi (fireworks). 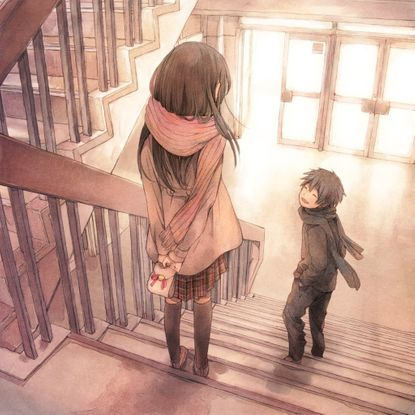 Like many things in Japan, they are widely shown within anime. 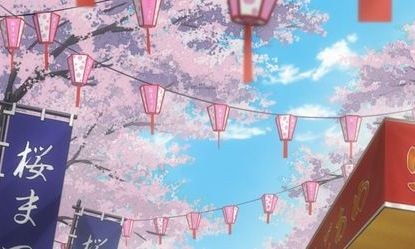 Here are some of the most popular festivals as seen in some scenes in anime. In Japan, "oshōgatsu (New Year's holiday)" is one of the biggest events where everybody takes a couple days off to celebrate the arrival of the new year. During the Japanese new year most people visit a shrine or a temple to pray for health and happiness. This is when very famous shrines or temples often get very crowded. Even though the kimono is not worn in daily in contemporary Japan, many people choose to dawn their kimonos on Oshōgatsu. 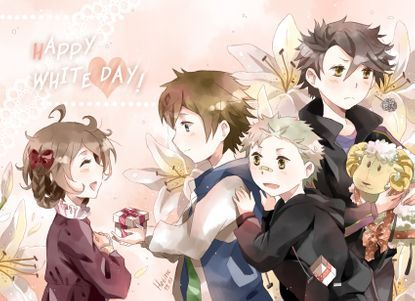 This is the most anticipated day for middle school and high schoolers in Japan. Valentine's Day has similar customs to the Western view however, February 14 is the day where boys/men are bombarded with presents or chocolate from their admirers. These presents can either be home made or store bought. This can either be received by means of an admirer or by a means of paying respects. Don't get the wrong idea if you get a present, and feel obligated to return the favor. This day happens on March 14. Exactly one month after Valentine's Day. It is the time for the boys/men to return the favor to their admirers. This allows the girls/women to receive their longly anticipated presents from their admirers. 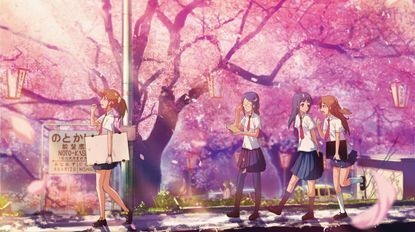 One festival that is most commonly spoken about among Japan, especially in anime is the Cherry Blossom(Sakura) Festival. During this festival people have fun sitting under cherry blossoms, having barbecues and drinking and watching fireworks. . Most of the time the cherry blossom festivals are held between March to May, though certain regions in Japan have them in January, February, and June, based on their location. Festival dates are usually determined with reference to cherry blossom forecasts and vary from year to year.